What does HCG stand for? HCG is an abbreviation for Human Chorionic Gonadotropin. This is a hormone that is produced in very high levels by the fetus. In the typical pregnancy women often experience levels as high as 10,000 IU’s or more. As a result of the HCG being produced by the fetus, substantial levels are typically found in most newborn babies. What does HCG do in the body? HCG signals the hypothalamus which is connected to your pituitary gland. The pituitary gland is referred to as the “master gland” because it helps regulate your endocrine (glandular) system. In pregnancy, the HCG actually triggers your system in a manner that causes your body to metabolize fat stores. These fat stores contain useful nutrients that are utilized by the placenta to ensure fetal growth. 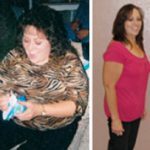 How does HCG help me to lose weight? The Pharmaceutical HCG we utilize in our weight loss program, (real HCG) works in combination with a customized diet program and weight loss counseling. Together, they work to force your body to metabolize the same fat stores we mentioned earlier. The difference, now your body is going to use those fat stores for part of your energy and nutrition. Since HCG is natural, does that make it safe? HCG is very safe; during nine months of pregnancy women and their fetus produce extremely high levels of HCG ,and generally speaking; they experience little if any adverse effects . The amount we use to trigger your system for weight loss is a tiny fraction of what is produced during pregnancy. To date, not one of our clients has experienced any adverse side effects from HCG. Additionally, Success Weightloss Systems only uses HCG from a compounding pharmacy in the USA. Our pharmacy adheres to stringent procedures to ensure purity, strength, and safety. They exceed all guidelines established within their industry. Prescriptions are written, names, dosage, expiration dates, and batch lot numbers are displayed on all bottles per State requirements. 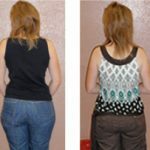 Is it healthy to lose the 2 pounds a day I see claimed by the HCG websites? We believe that no one should lose more than 1 pound per day, and that only those whose systems can support it should. That is why we work very hard to monitor your weight loss and to adjust your diet. We want to keep you in a weight loss range that is well suited to your current health condition. HCG, a modified diet and weight loss counseling; all help you lose weight, and we can say with complete certainty that losing weight has numerous health benefits. But losing weight too fast, or without blood work, or a physical can be very hazardous to your health and should be avoided. Can I take HCG Weight orally? You can now! Success Weightloss Systems is proud to offer pharmaceutical HCG in a reformatted oral dissolve tablet. When we combine this new improved tablet with our stair-stepped dosing, specialized diet, and unmatched support; it dramatically increased the efficacy of our clients’ oral HCG outcomes. 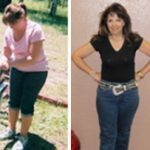 Numerous Success Weightloss Systems clients’ have already experienced meaningful weight loss, and they all seemed to appreciate the ease of use! That being said; we still feel that an intramuscular HCG approach is superior, and as such; we still encourage that method for our clients’. However, we also understand that countless individuals are not comfortable with an I.M. approach, and that it may keep them from experiencing everything that HCG has to offer. That is why we are thrilled to have a means of providing everyone with the opportunity to utilize pharmaceutical HCG (the real stuff), in a manner that is neat, discrete and easy to complete.